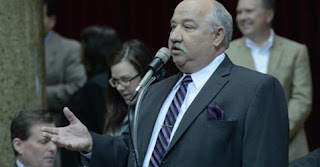 Congratulations to Lafayette County's own Glen Kolkmeyer, as he vies for Missouri Speaker Pro Tem. 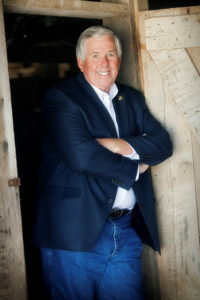 Kolkmeyer serves the 53rd Legislative District. The race to become the next Speaker Pro Tem in the Missouri House of Representatives features three strong contenders in Reps. Jason Chipman, Glen Kolkmeyer, and John Wiemann. We spoke with each representative about a number of issues to get their thoughts on where Missouri goes next, the issues they foresee, and why they want to serve as the Pro Tem. Here are the answers from Rep. Glen Kolkmeyer. Click here for link to full story. 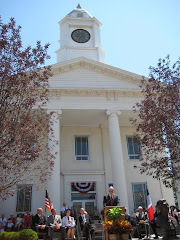 SAVE THE DATE: Lafayette County Lincoln Dinner set for Saturday, April 21st. Keynote speaker: Missouri Lt. Governor Mike Parson. Lt. Governor Mike Parson to keynote Lafayette County Republicans 2018 Lincoln Dinner on Saturday, April 21st in Wellington, Missouri. SURROGATES FOR CANDIDATES WILL NOT BE ALLOWED TO SPEAK, HOWEVER RELATIVES OF CANDIDATES MAY PRESENT SHORT REMARKS.